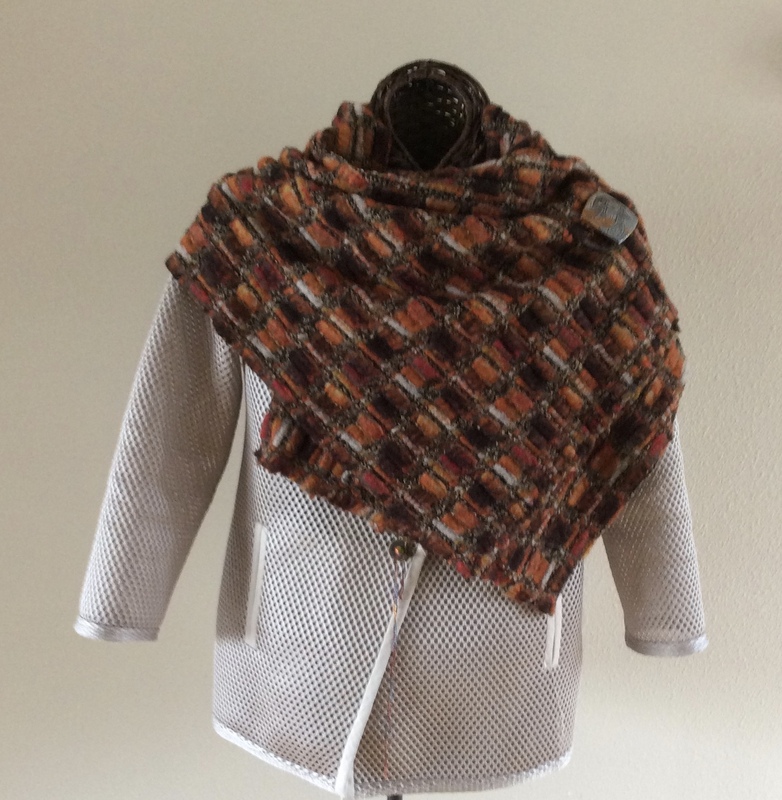 Somewhere–probably Pinterest–I once saw a knitted wrap that was essentially a rectangle that could be worn multiple ways. Nice…but same old, same old. 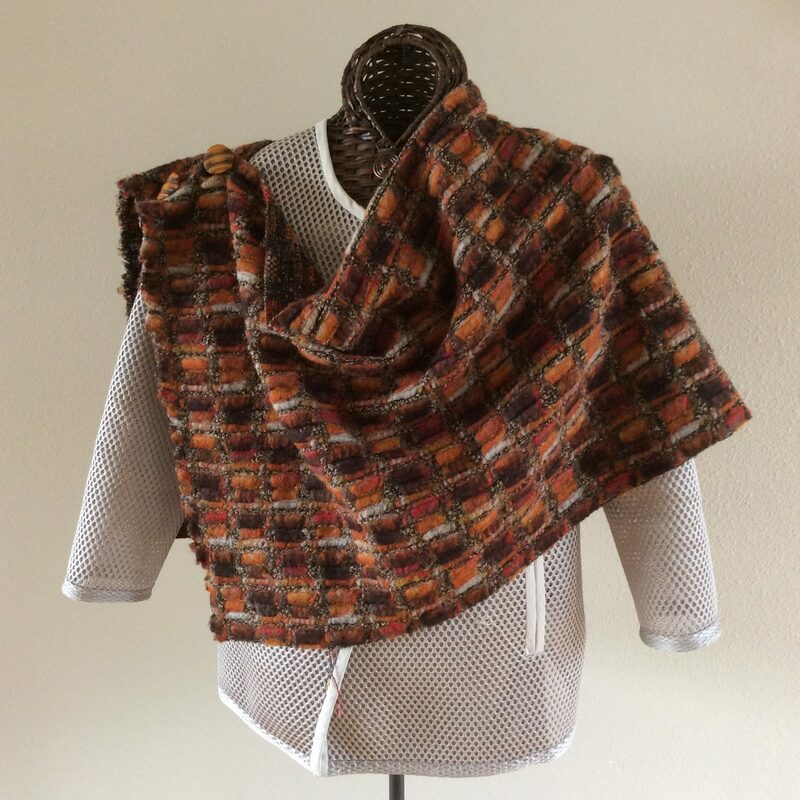 It’s a Shawl; It’s a Wrap; It’s a Vest. 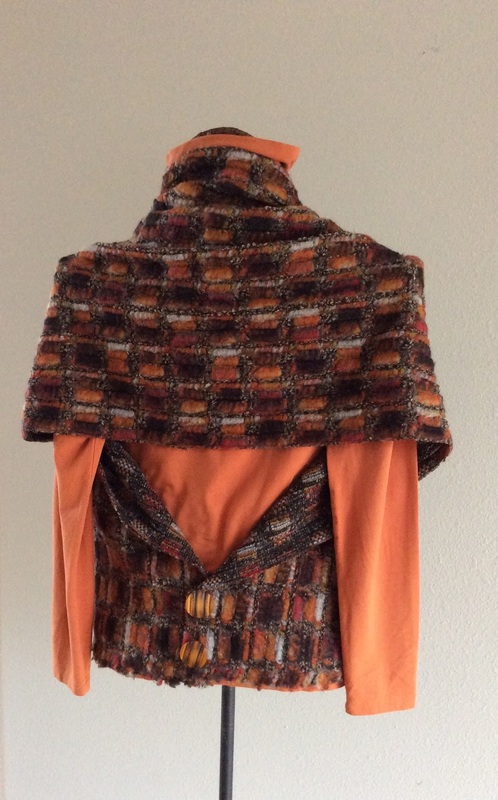 What caught my attention is the unexpected way the rectangle is manipulated to form a vest–a Rectangle Vest. Was all set to whip out the knitting needles when I noticed the finished size was 18″X59″. That gave me pause as, knowing myself as I do, I’d lose impetus halfway through. 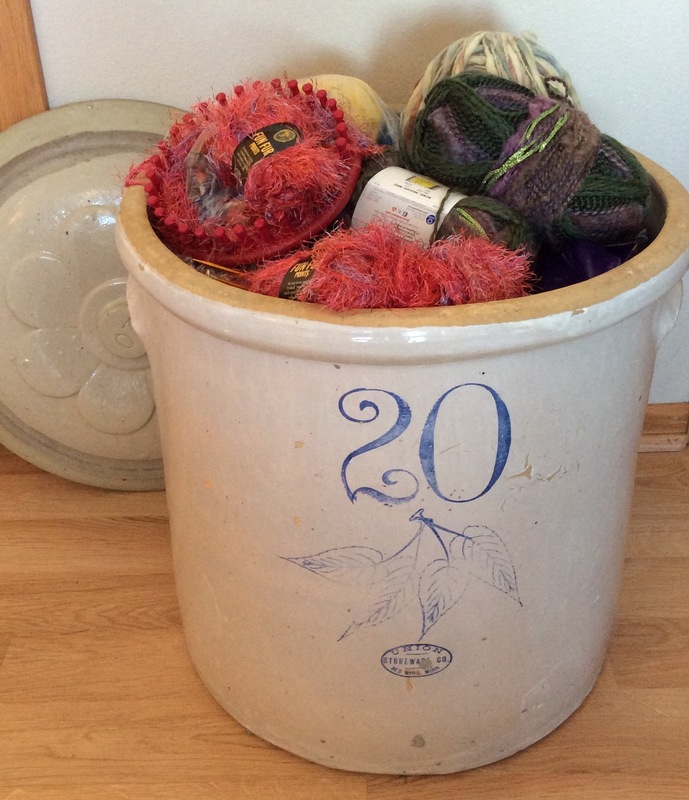 And there would be another UFO in the knitting jar. 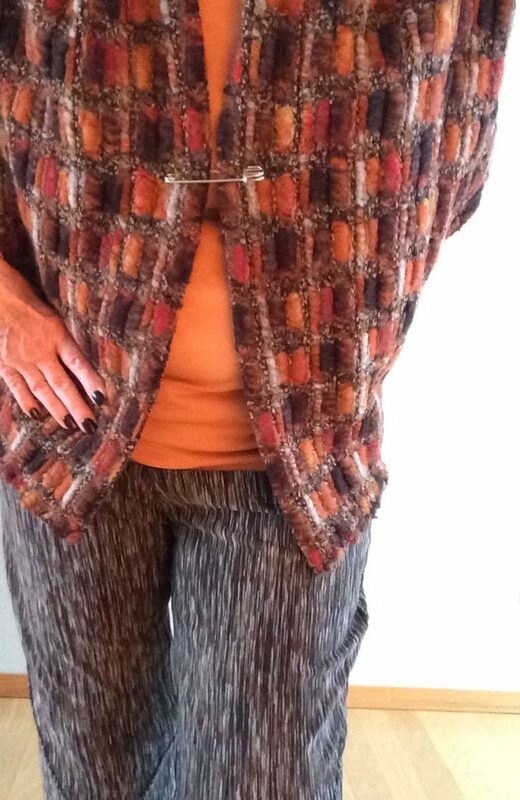 Sometime later, when browsing Marcy Tilton’s online fabrics, I fell in love with a striking orange/brown/black/gold loosely woven fabric. Daily visits didn’t prompt any garment ideas and eventually only 1/2 yard was left. Then the knitted vest pattern popped up in my mind. 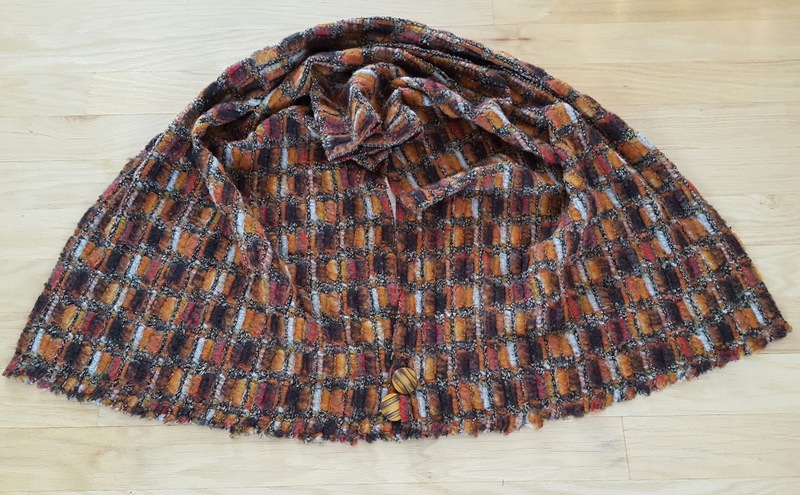 This fabric was 55″ wide and would be a perfect replacement for the knitted rectangle. As with most great ideas, the vest is really simple. 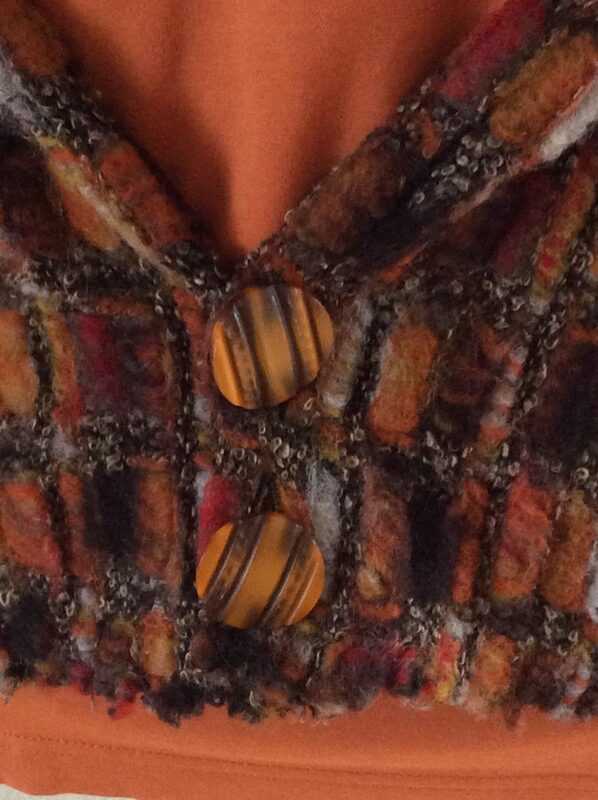 Choose a loosely woven and/or stretch/knit fabric that will stretch a bit around the shoulders. Or, you could knit, even crochet, a rectangle of similar size. Fold rectangle in half and attach buttons to long edge at the selvage. 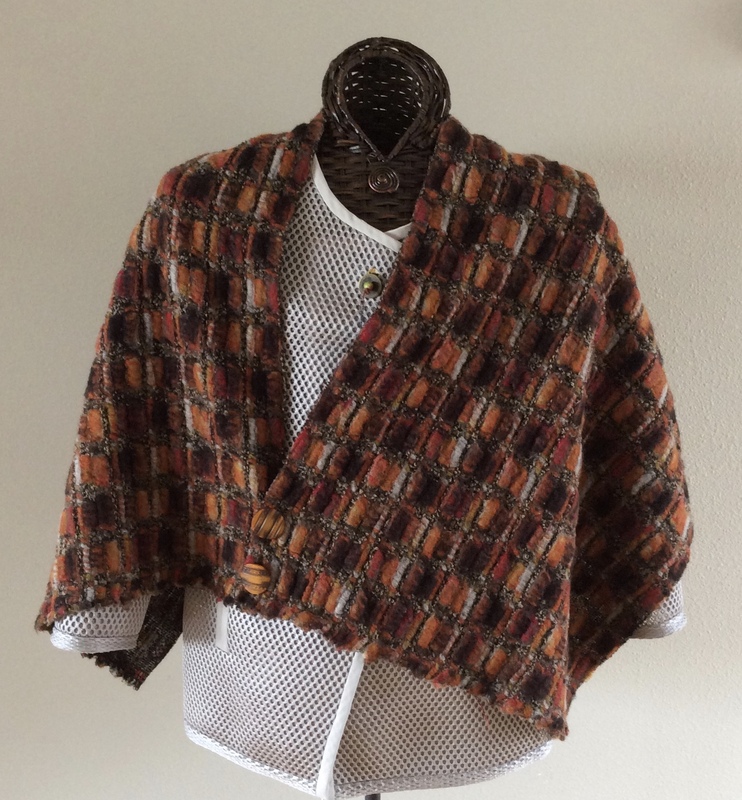 A reversible fabric will provide more options for a fold-back shawl collar. One half yard of at least a 55″” wide fabric. The half yard can be increased/decreased for various amounts of coverage. FYI: 45″ wide fabric will require a seam to produce a rectangle long enough to wrap around the body; longer than 55″ will make a longer vest. 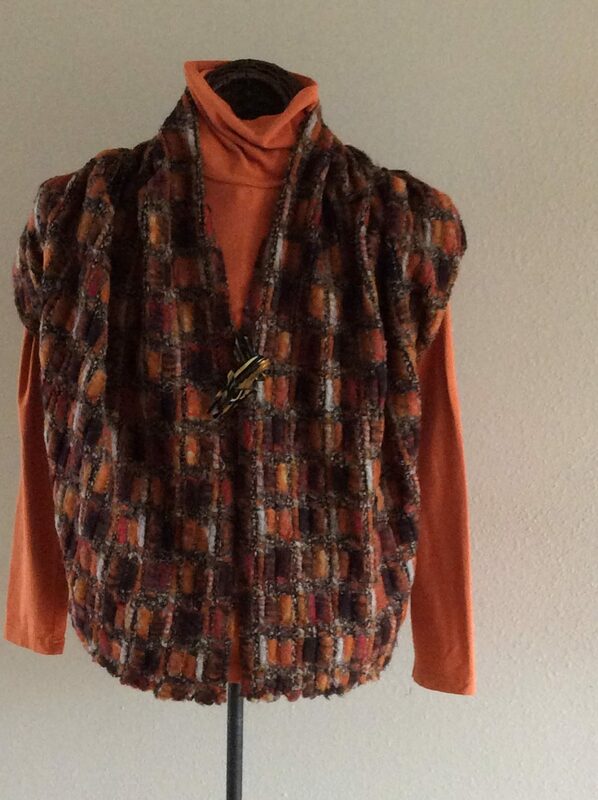 Subscribe to Fiber Fashion Fun newsletter and receive the FREE Rectangle Vest instructions pdf download.